On receipt of this notification SDL starts searching for devices on all available transports. Afterwards, SDL provides the search results via UpdateDeviceList. 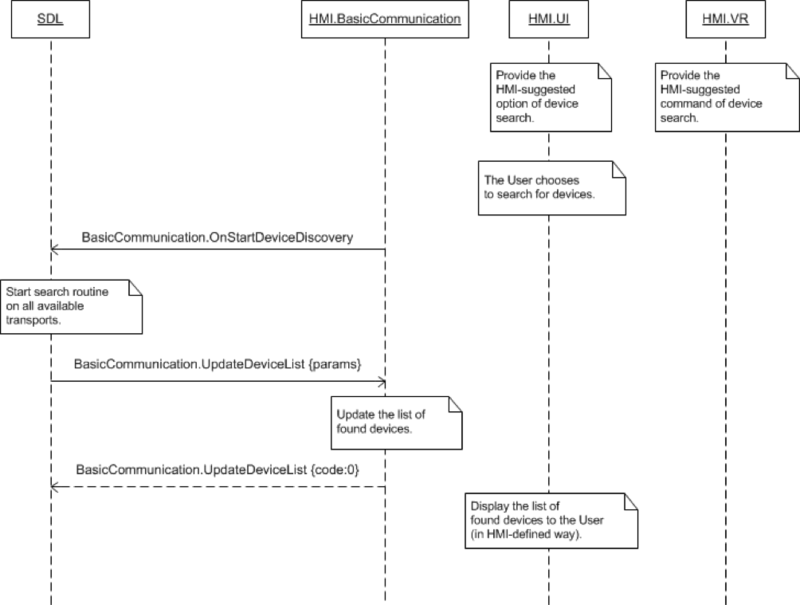 This RPC tells SDL to initiate a new device search. The OnUpdateDeviceList RPC asks SDL for the results of the most recent device query.